His experience includes acting as Director and Professor of the Building Systems Program, Civil, Environmental, and Architectural Engineering Department at the University of Colorado. Moncef brings over 20 years of experience in designing, testing, and assessing innovative energy efficiency and renewable energy technologies applied to buildings. He also directed several projects in energy management of buildings; including conducting over 1000 energy audits of various residential, commercial, institutional, and industrial facilities leading to millions in savings for customers internationally and domestically. He published textbooks on energy audits of building systems that are widely used to teach energy audit techniques. 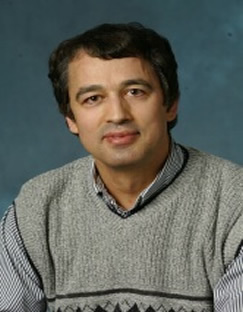 Moreover, he has conducted several training workshops and courses in energy analysis of building energy systems using state-of-the art measurement and simulation techniques. In addition to his innovative international consulting in energy efficiency, Moncef has published over 200 technical journals and handbook chapters in various fields related to energy efficiency and energy conservation. As part of his activities at the University of Colorado, he has managed the energy management center further developing and creating tools and technology in energy auditing sector. Moncef speaks and writes in French and Arabic.